Many of us learn grammar at school, but with the passage of time or due to lack of interest we forgot those rules. But now in the professional field, we have to write to earn our living or have to submit the final thesis or project paper and do not know how to do that. We want to make your grammar perfect. In this way, your project won't be rejected. 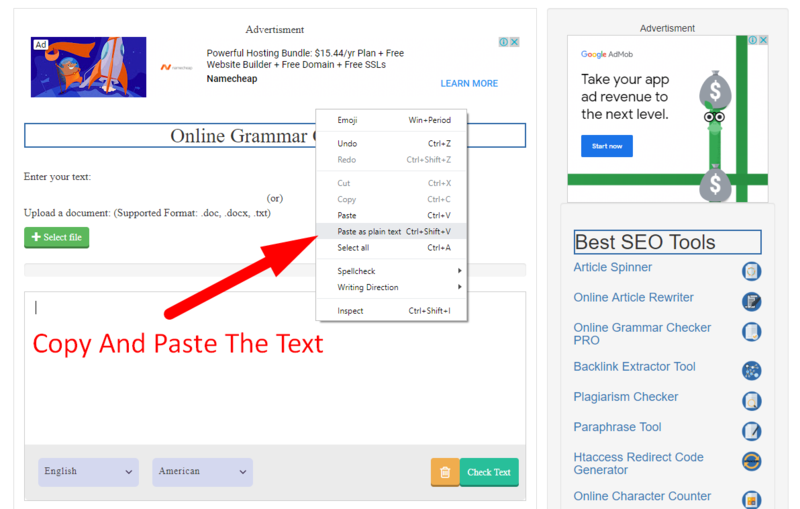 There is a tool that will help you to make your article Grammar mistakes free? 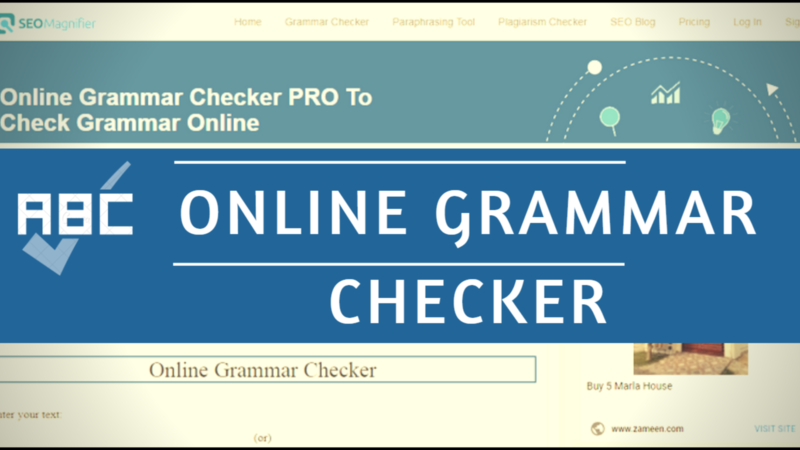 Do not worry because I am going to discuss online grammar check pro tool that supports German, Russian, French and near about up to 26 + languages. 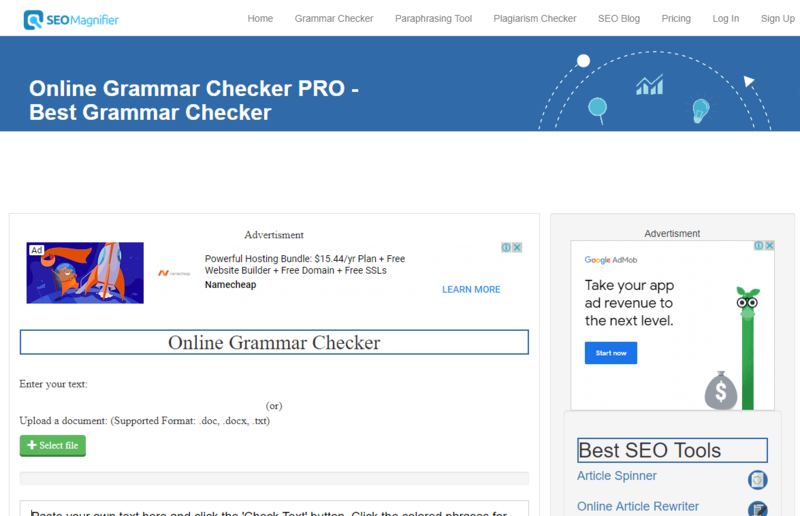 What is Grammar Checker pro tool? A grammar checker is a well-known tool that will help to make your article mistakes free. There are many best comma and punctuation checker tools available but they don't have the potency to make an article totally free from mistakes. But it is such a tool that will make your article or thesis or project paper free from any mistakes and help you to get high marks. Why use our best free online grammar checker tool? As I gave a little introduction to this amazing tool in the above paragraph but you still have the right to ask why you should use this tool? The answer is that it is the best place to check for grammar not only of English but also of different languages. Yes, This English Grammar Correction tool supports 26 plus languages like English, French, Austrian, Chinese, Dutch, German and much more. It will mark many mistakes that none of any other spelling and grammar checking tools does. It eliminates writing mistakes, corrects the misuse words and also corrects the spelling mistakes. We have launched our latest version of the Spanish grammar checker to fix the grammar issues for the Spanish language. 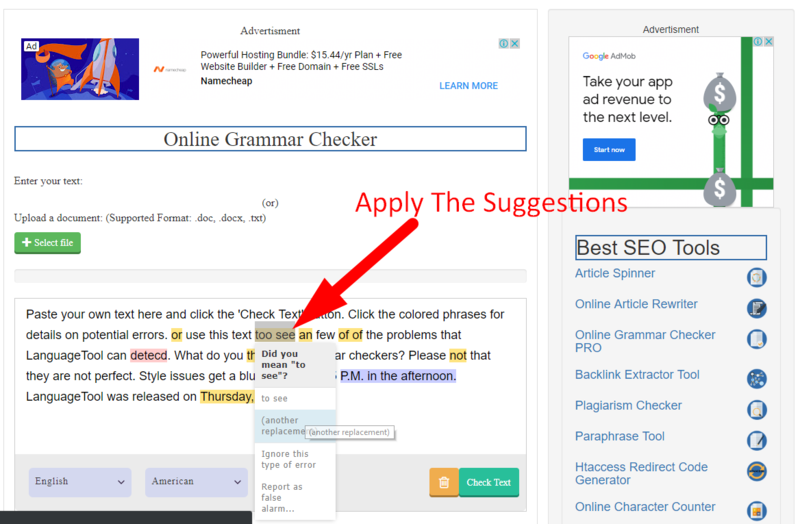 How does the best grammar checker tool work? It is the most important question that how this Tool works and why it is better than all other tools? When you put an article in it, it will start analyzing all your data and give results in few seconds. It checks any grammar mistake, spelling, mistake, use of wrong words at the wrong place, Subject-verb agreement. It will give you a different suggestion to correct your mistakes and make your paper free of mistakes. It will automatically analyze your article and give a suggestion. 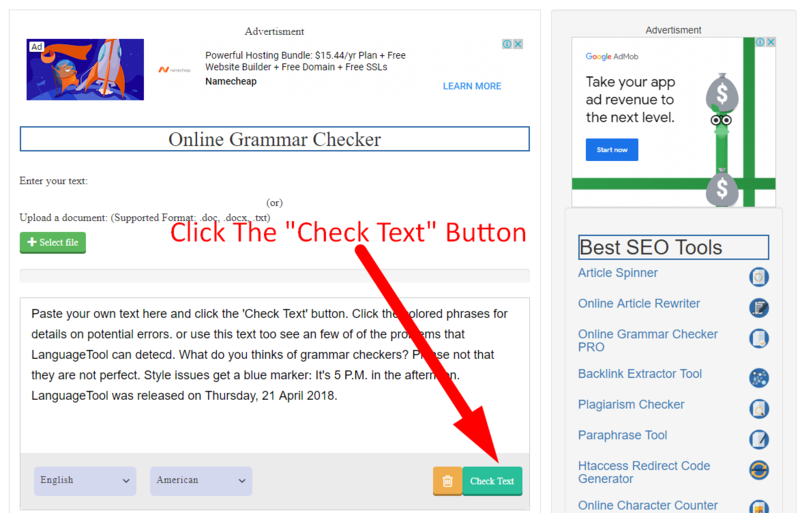 How to use SEOMagnifier's best online grammar checker? It is very easy to use Online Grammar Checker. First, you need to write your article in DOC, DOCX, and TEXT files and upload the file "select file" button. Just copy and paste that article into the toolbox. Then analyze that on your own if you find any spelling or grammar mistake. The tool will automatically start analyzing your article and give you result in seconds. People from different countries are using this tool and making their document free from mistakes. 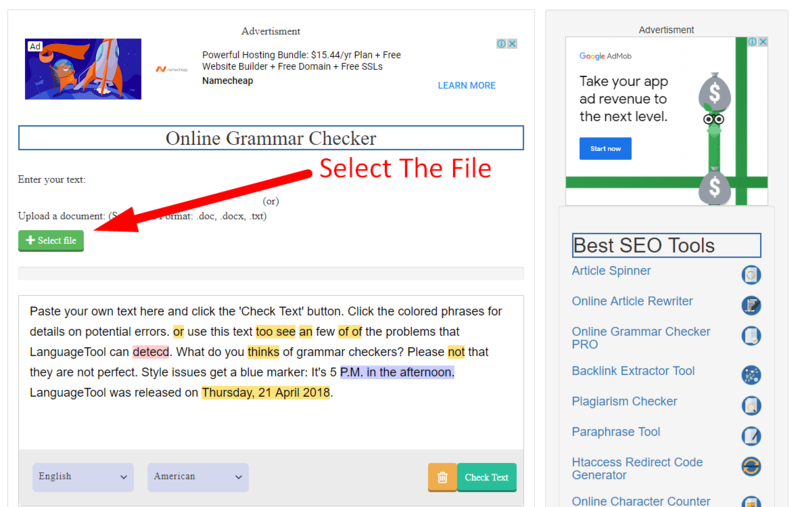 It is used by many students who have to submit their final paper and also many online entrepreneurs to make their article grammar mistake free as it will help them in SEO. This tool is offered by seo magnifier which is one of the best SEO tools providing company.